UPDATE: The results have been published – VK5ARG came second in our multi-op division! Well done team! On Saturday July 15th, AREG members VK5GR, VK5QI, VK5MTM and VK5IX gathered together with Steve VK5SFA at his QTH to participate in the Trans Tasman Low Band Challenge Contest as VK5ARG. 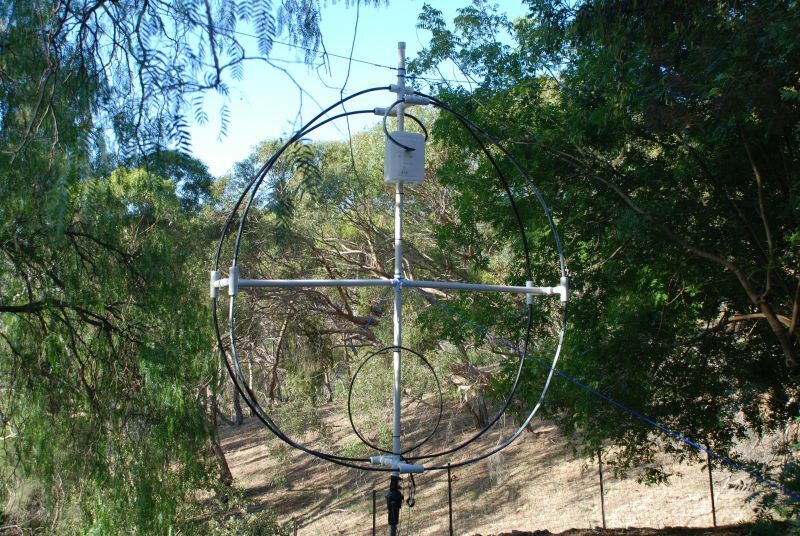 Originally planned as a portable operation, the portable activity was cancelled at the last minute due to a critical piece of equipment not being ready (the new club portable 160m loop antenna). The change of venue was deemed a fantastic outcome by all who participated as outside temperatures plummeted into the low single digits. Steve and his wife were fantastic hosts and we were able to operate the full 6 hours in luxurious conditions. The station consisted of Steve’s IC7700 running either 80 or 160m on the Magnetic Loop antenna, while Grant’s K3 ran on 160/80/40m either on the 40m rotatable dipole or the 80/160m trapped dipole, depending on the combination we selected. We had hoped to also have a IC7000 dedicated to 40m, however the RFI from the MagLoop (one of their drawbacks it seems) was severe and rendered the second 40m station unusable. Something to learn from there when using the loop in later contests. Four of us operated whilst one was there for moral support (guess which one (chuckle)). Activity came in bursts although there were times when the pickings were very slim and we called for many minutes without a bite. 40m was completely dead after dark, but not for want of propagation. When we did find someone (VK4HH) they were easily workable. It seems that 7MHz is forgotten in this contest after dark – perhaps unwisely so. We also ran CW (having two gun CW operators helped) which filled in the dead patches calling on SSB. We were going to try RTTY, but were still configuring the MicroHam keyer and hadn’t cracked the code of how to make it run with MMTTY and N1MM in time for the contest. A highlight was the a number of contacts made with New Zealand stations this year. ZL contacts were achieved on 40, 80 and 160m, although on 160m it was often hard going. Thanks to everyone who participated from AREG and thanks also to all of the stations across VK/ZL who participated in this unique contest! 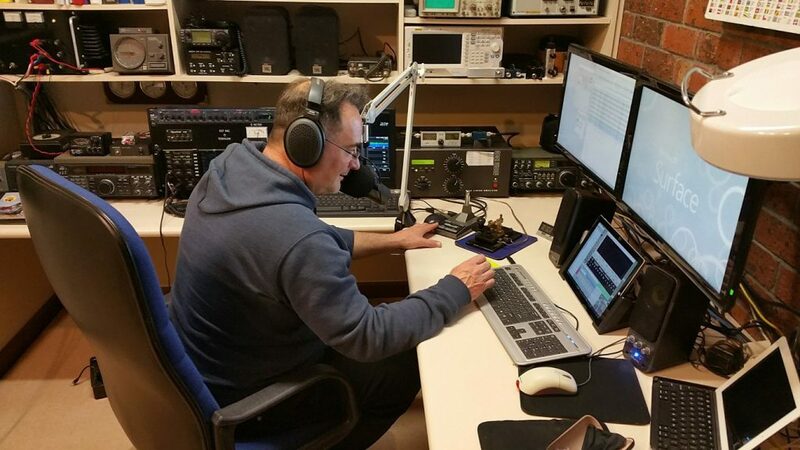 This entry was posted in Club News, Contesting, VK5ARG On The Air by VK5GR. Bookmark the permalink.